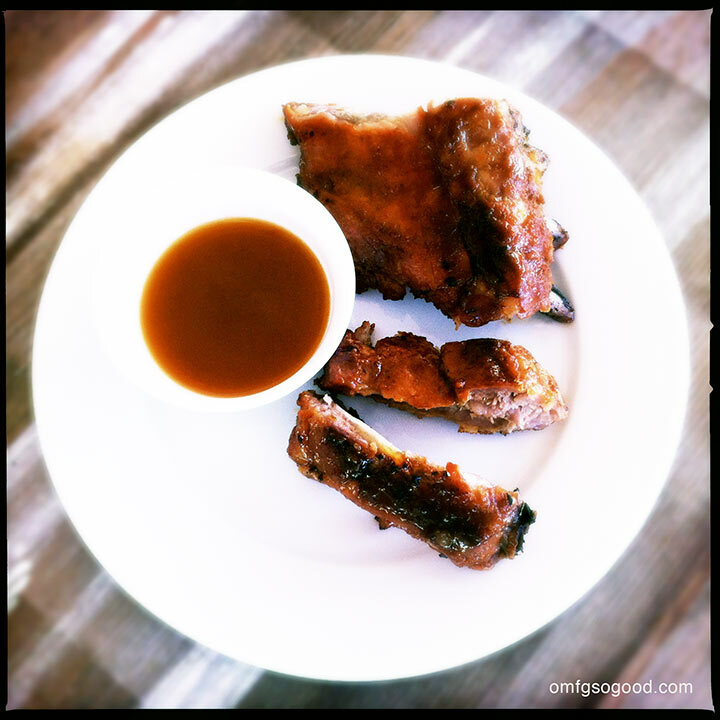 honey mustard spareribs | omfg. so good. Yup, there are sticky sweet fingerprints on my keyboard right now. 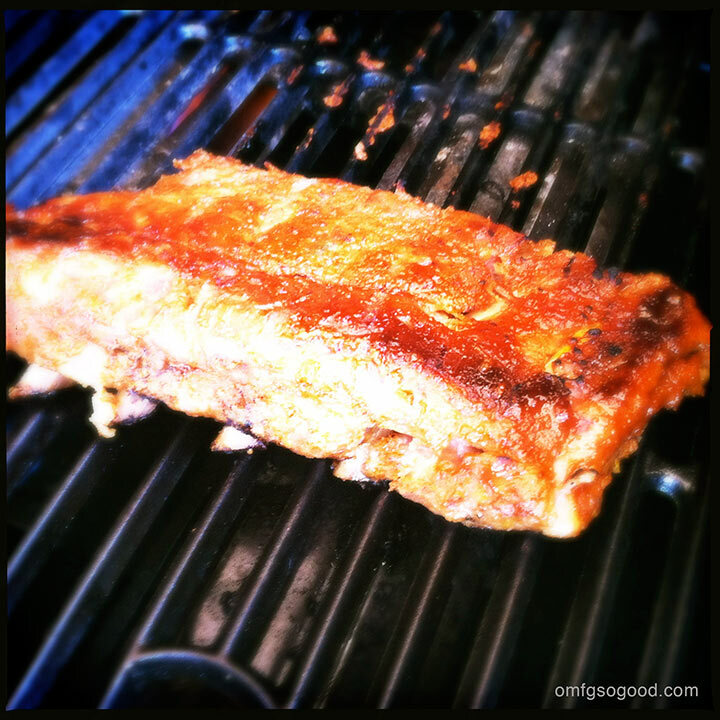 And it’s the perfect time to write this post since Jonny and I just threw elbows to devour the second round of these ribs, and the flavor is fresh in my brain…Yeah, we eat a lot of ribs. It’s a hazard of the job. Cut a large rack of ribs into two sections, clean the silver skin from the back, place on sheets of plastic wrap. Drizzle each rack with the yellow mustard and rub in to evenly coat both sides. Sprinkle each side with the dry rub mix and massage into the mustard to create a paste. Wrap tightly in the plastic wrap and refrigerate for 4 – 6 hours or overnight. When you’re ready to make the ribs, remove the plastic wrap and let them reach room temp. Preheat the oven to 325 degrees. Lay each rack, meat side down, on large sheets of tin foil and fold up the edges to create a pouch. Add 2 – 3 tbsp water to each pouch before sealing, then roll the edges to seal tightly. (I always line the sheet pan with parchment paper for easier clean up, btw) Lay the foil pouches (meat side down) on the sheet pans and bake in the preheated oven for 2 1/2 hours. 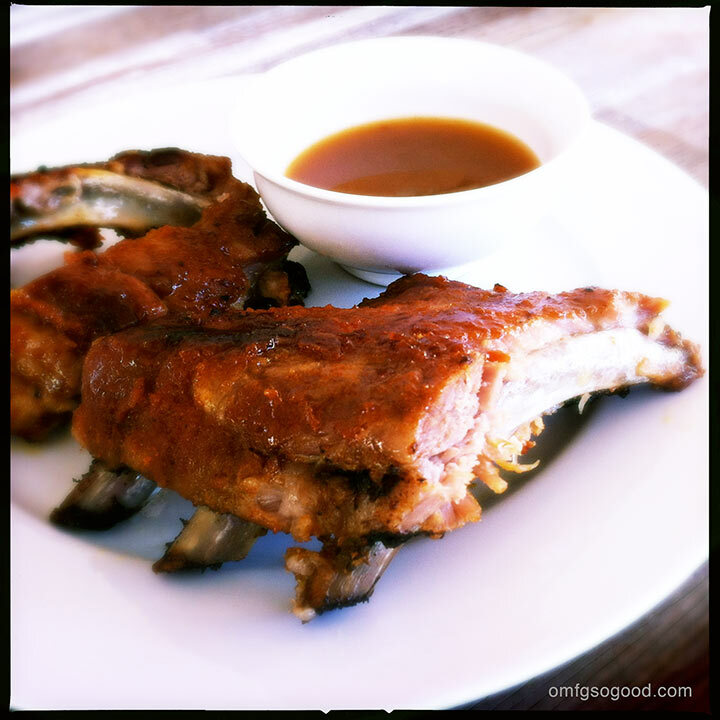 While the ribs are roasting, combine all of the ingredients for the glaze in a heavy saucepan and whisk to incorporate. Bring to a low boil and simmer for around 20 minutes, or until the sauce reduces to around 1/2 the amount of the original ingredients. You want to cook off the strong vinegar flavor a bit. Transfer to a glass or ceramic boil and allow to cool to room temp. 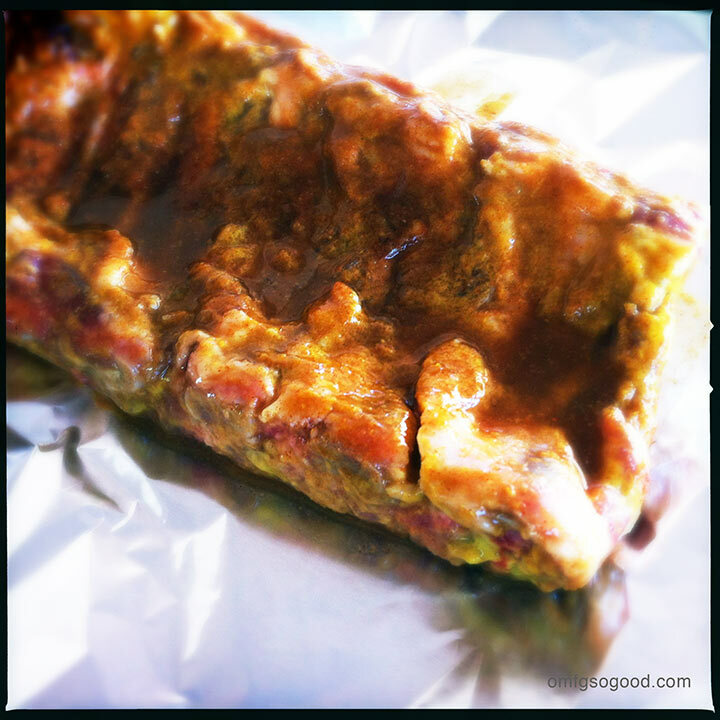 When the ribs are done, open up the foil pouches and let them rest on the sheet pan while you preheat the grill. Finish them on the hot grill for 2 – 3 minutes on each side, basted with a dousing of the honey mustard glaze. Reserve the rest of the glaze for dipping. Serious rib perfection. True story. 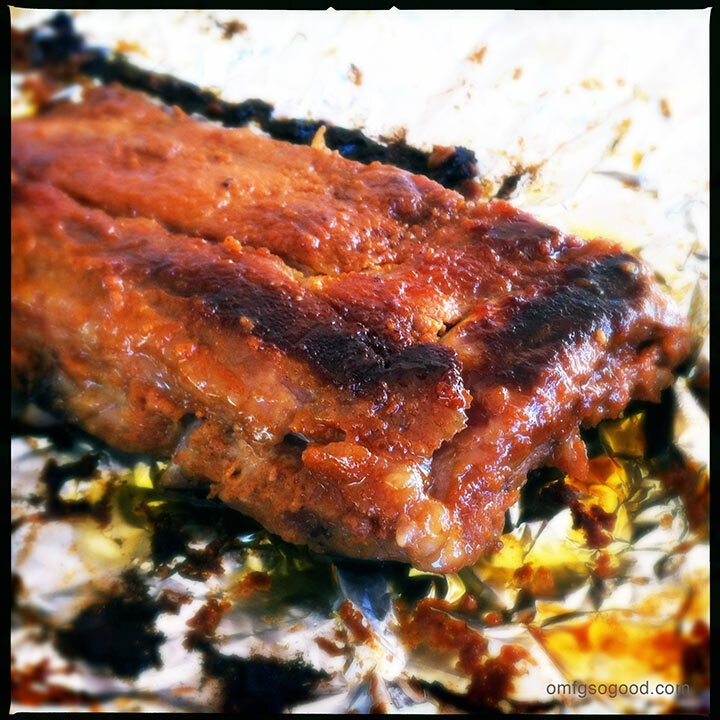 Pingback: beer braised pineapple jalapeño ribs | omfg. so good.